At Advent Dental, we offer a wide range of dentistry services that go above and beyond the norm for a general dentistry practice. Our skilled dentist, M. Maxwell Hejazi, DMD, has advanced training in a number of procedures, including oral pathology and medicine. Many local dentists and physicians refer patients to Dr. Hejazi and his team for diagnosis and treatment planning for cancers and other diseases that begin in the oral and facial structures. If you’re in need of diagnosis or treatment for oral disease, contact our Las Vegas dentist and team to schedule a consultation today. 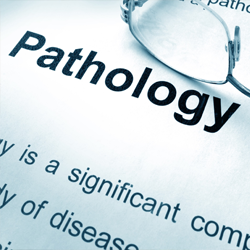 Pathology is the study of disease. Specifically, the development, causes, and treatments of diseases that affect any part of the body. Oral pathology is geared towards diagnosis and treatment of cancer, lesions, and diseases that affect oral and facial structures. What Services are Available at Advent Dental? Our team is dedicated to providing accurate diagnosis and exceptional care for oral disease. Other local doctors trust Dr. Hejazi by referring patients to him for all of their oral pathology needs. We work hard to provide the same high level of care your referring dentist or physician would offer you. 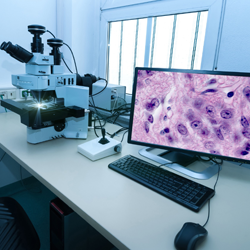 During your oral pathology appointment, we begin by completing a thorough visual and manual examination to determine whether or not there is disease present in any of your oral or facial structures. In some cases, the concerns you’ve noticed are actually side effects of larger problems. For instance, medications and systemic illnesses may manifest with oral lesions. 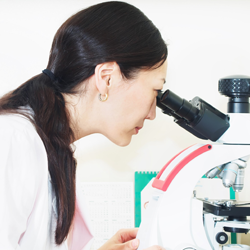 When necessary, we’ll recommend a biopsy to ensure completely accurate diagnosis. 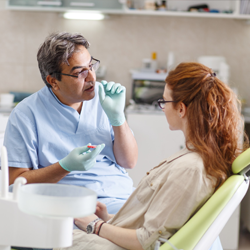 Depending on your specific oral health disease, we may recommend steroids, steroidal or antifungal mouthwashes, or other treatment as necessary. For patients diagnosed with oral cancer, we will work with an oncologist to create an ongoing care plan. I Don’t Smoke. Am I Still at Risk for Oral Cancer? Even more significant, 25% of patients diagnosed with oral cancer do not engage in any high risk behaviors or fit into the at risk groups. That’s why regular oral cancer screenings with the Advent Dental team are so important.